Luxury mountainside homes in Henderson, NV, within MacDonald Highlands include the Highlands, offering city and mountain views; Lochmere and Kings Links offers golf, water and mountain views; Montrose and Bent Green offer large lots with golf frontage, city and mountain views; Palisades and Lairmont features large lots with golf frontage and city views; and Glenbrook Canyon and Lochinver Ridge provide even larger acreage with city and mountain views. The McCullough Mountain luxury real estate and custom home sites within MacDonald Highlands are the preferred choices for many who seek to elevate to a luxury country club lifestyle. 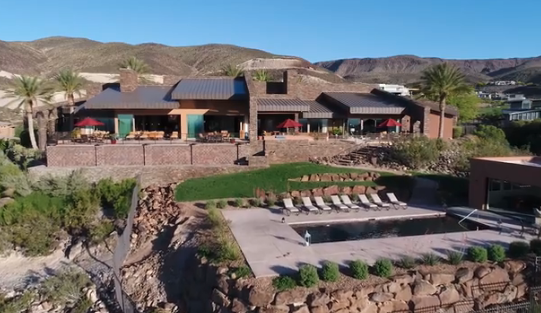 Whether you choose a dramatic cliff, a hidden canyon, flat mesa or one of the beautiful golf course lots, MacDonald Highlands offers unique choices for your private estate. DragonRidge Country Club, the centerpiece of MacDonald Highlands, is a private golf course designed by Jay Morrish and David Druzisky. The DragonRidge premier clubhouse features an upscale dining room, separate mixed grill and lounge, golf shop, exercise facility and swimming pool. Get in touch with MacDonald Highlands to elevate your lifestyle and start living at the top.